I have come across a number of different blogs from Westerners who are following the path of Sanatana Dharma (Hinduism). Together they cover all the major sects of Hinduism; the four traditional sects of Saiva, Shakti, Vaishnava, and Smarta together with Neo-Hinduism. I am sure that I will have more blogs to add to this list in future. The descriptions of each sect are brief and general. There is a lot of difference between sampradayas (schools) within each sect, so I have tried to put what is common to them all. If you do feel the called to Hinduism, don’t look at the sects and sampradayas within each sect to logically decide what most fits your world-view, your world-view and self-view will change on your journey. You don’t choose the path, the path chooses you – or rather God has a path mapped out for you. Go with your intuition and your heart. If you go with what your mind thinks rather than what your heart feels you may well end up coming back to what felt right later. I would highly recommend the book “How to become a (better) Hindu” , which is available as a free online text as well as a physical book. The worship of Lord Shiva as the ultimate God, together with the great devas Ganesha and Murugan (Kartikeya). This blog! There since you are already here you know about it, but for completeness I am following the Kailasa Parampara Of the Nandinatha Sampradaya. A new blog, I’m not 100% sure it’s a Saiva blog yet but mentions the Himalayan Academy. There are some thoughtful and insightful posts. A blog by a gay Latino Hindu living in Philadelphia. He is a follower of Shiva and writes about his spiritual journey. This highly personal blog is the story of the spiritual journey of a woman in Kentucky. The blog conveys thoughts and ideas in a poetic style. Jana.nanda is a blog by “jnana shiva”, who describes herself as “a 54 year old woman living in the little big town called Las Vegas Nevada“. She is a follower of Kashmiri Saivism. Her colourful blog illustrates as well as describes her spiritual journey. In addition to this blog she has a poetry blog, spanda.nanda, which shows her level of spiritual devotion to Lord Shiva. For years I had been lost to agnosticism and had sought relief in Taoism, Buddhism, revisited Christianity, and had eventually given up on spirituality altogether. I was no longer seeking, then, quite unexpectedly I was called by Lord Shiva. Here is where I will tell that story and share those thoughts. Om Namah Shivaya! Her blog includes many of her illustrations, including Hindu-related images. 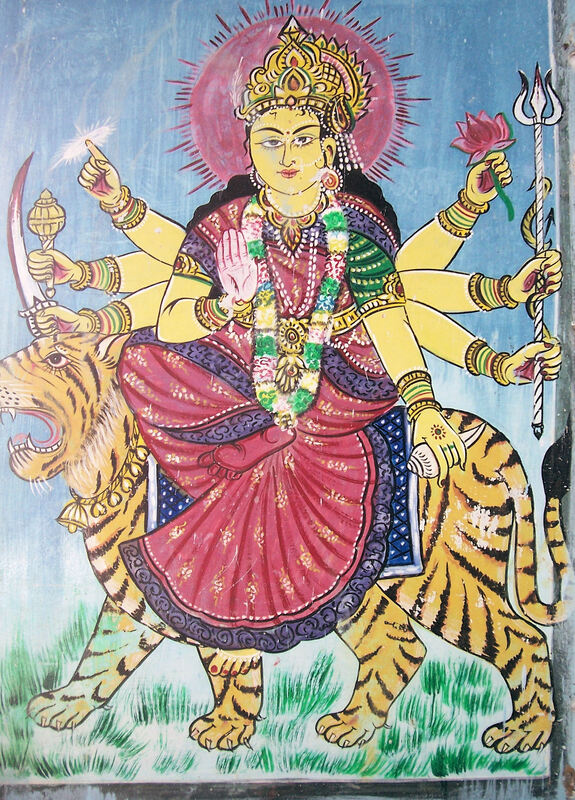 Shaktis worship one of the divine feminine forms such as Parvati, Durga, Kali, Amman, or Rajarajeshvari. A blog by Stacy who is following the Shakti path. She follows Amritanandamayi Devi, known as “Amma, the hugging saint”. Her original “myspace” blog has now been removed but she continues to show a very colourful and personal web presence on this flickr page. This relatively new blog looks very interesting. An interesting blog from a follower of Lakshmi. She has some interesting posts with beautiful pictures. Though she describes herself as “new to Hinduism” she has an understanding – and more important a feel – for the meaning of Hinduism as a way of life. Vaishnavas worship Vishnu, or one of his avatars. Worship of Shri Krishna and Shri Rama is particularly common. This is a blog by Allegra, who is a student at Princeton University and a follower of Gaudiya Vaishnavism. Gaudiya Vaishnavism is usually associated with ISKCON, and Allegra’s path has taken that direction so far, though there are other linages within this tradition. She writes about both about her studies and her personal spiritual journey. She also feels sympathy for Muslims in America and writes about Islam. This blog, by written by Kodanda who is following the Sri Vaisnava Sampradaya. The posts are clear and insightful and show how he came to follow Sanatana Dharma. The Rolling With Vishnu blog is by treadmarkz, a paraplegic devotee of Vishnu. He writes “My Wheelchair is my chariot and Lord Vishnu is my charioteer as I fight the battles of life“. 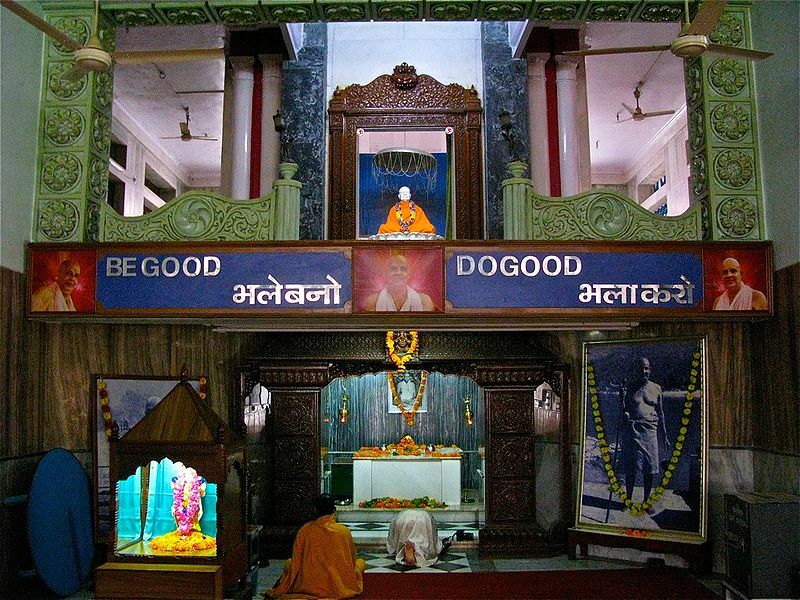 Treadmarkz is inspired by Swami Vidyadhishananda Giri and Paramahansa Yogananda. This blog by is by “Aashna Namaste” who is at the beginning of her spiritual journey, and is guided by Shri Krishna and Shri Ganesha. Unfortunately this blog does not seem to allow comments. A blog from an English follower of Sanatana Dharma who now lives in Florida. He has an affinity with Krishna and other Avatars. His blog is aimed at people who are new to Hinduism. 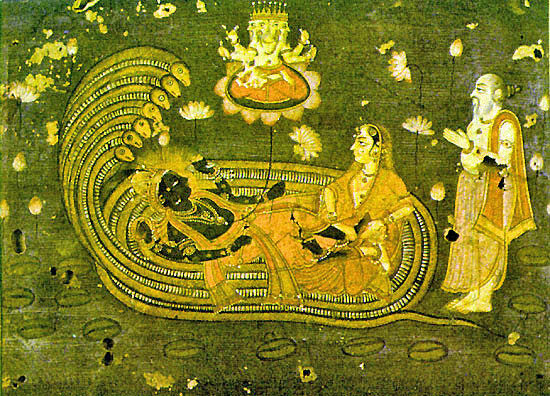 I saw a picture of Mahā-Viṣṇu reclining on the Causal Ocean emanating universes from his pores, and for me it was the moment when all the Western science I studied came together with all the complex imagery I had seen. He appears to have a vedic philosophy with a vaishnava outlook. I have only just started reading his comprehensive blog. 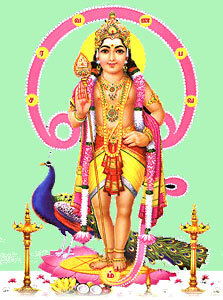 Smartism is a traditional sect that follows the teachings of Adi Sankara. I hope that these will be useful to any westerners called to Hinduism. popularised the ancient Smarta five-Deity altar–Ganapati, Surya, Vishnu, Siva and Sakti–and added Kumara. 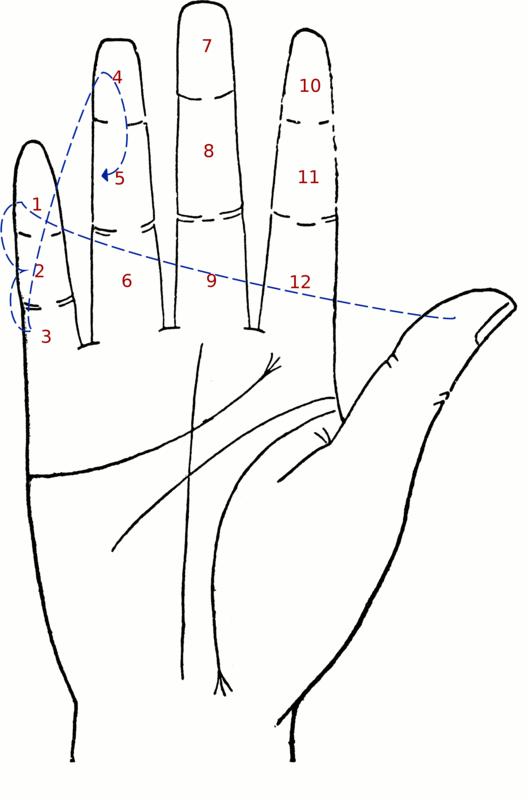 From these, devotees may choose their “preferred Deity,” or Ishta Devata. Aamba considers this blog to be complete, though it is currently inactive it holds a wealth of articles. This is a blog by Aamba, who crossed spiritual paths with me by starting off by reading a Himalayan Academy publication and ended up following the Chinmaya Misson West. She is a truly prolific blogger who has written as many posts in six months as I wrote in two years! The author of this blog is a woman who was born in the West Indies, who describes herself as a black Hindu. She writes under the name T.A.H, and describes her spiritual path from a Catholic and Seven Day Adventist upbringing to Hinduism. Like me she has visited other faiths on the way! She mentions feeling at home with vedanta philosophy, so I think that her blog probably belongs in the smarta section, but I will leave it here until I have read more. This blog by Ananda is an extended study and comentary on the Aparokshānubhuti , a short text by Ādi Śaṅkara. He says that he will be “presenting what, in my opinion, are the most relevant verses as an aid to self-inquiry. These blogs are by Aruna Sharan, a black Hindu who grew up in Guyana, South America. The blog “Sons of Gods: The Mahabharata” is mainly about her monumental effort to produce an English version of the Mahābhārata story which is “a book the length of an average novel, a continuous story distilled down to its vital essence but dramatised so as to captivate the reader, with living, breathing characters, spiritually alive and written in an accessible style yet retaining the powerful spirit of the original“. It is an established, well written blog and well worth a visit. The blog “Sādhanā Day by Day” covers spiritual practices, general philosophical questions. You need to request access to these private blogs. This blog by brhaspati, who is a follower of Advaita Vedanta philosophy. He has travelled extensively in India and this blog is about his pilgrimage in 2010. What one person might consider to be a neo-Hindu movement another may consider to be one of the major sects; for example Veerashaivism is often considered a branch of Saivism, but could also be considered as Neo-Hinduism. At the other extreme some people consider new-age religions that include worship of the Hindu Gods to be neo-Hinduism, whereas others believe that their beliefs are so different that they are essentially non-Hindu. This blog by is by Art who follows the Ramakrishna Vedanta tradition. He describes what this path means to him and always responds to comments thoughtfully. This is a blog by Philip Miner, an American who came to Hinduism through his encounter with Shre Shri Ravi Shankar at the Art of Living Foundation. Starting with meditation and yoga to help with depression, this proved to be the start of a spiritual journey. I can recommend the article “On (Not) Being a Beautiful and Unique Snowflake“, which explains the title of his blog and describes the start of his path to Hinduism. Sometimes blogs are hard to classify, usually because they are new. These blogs will be moved into other sections when the Hindu tradition they follow becomes clear or if the author requests it. This is a blog by Alicia, a high-school student in New York State. Her blog is relatively new and she describes her first steps in Sanatana Dharma. She appears to have an affinity with Ma Durga and Shri Ganesha. This blog is by kāmya, an American woman living in Canada. I may need a new section to classify her blog, as she is a vedic Hindu, a devout devotee of Indra. She writes as a devotee to share her love of Indra and her ideas. The Rajanaka Sammelana blog is an established blog by Douglas Brooks, am a professional scholar and a teacher of the traditions of Rajanaka Yoga. He explores the path of Tanric yoga, as taught by Rajanaka Gopalaiyar Sundaramoorthy. He discusses many subjects in depth, including Sanskrit, the Gita, Kashmiri Saivism. This is a blog by Sadhvi Bhagawati Saraswati, an American woman now living in Rishikesh. She is a devotee of Chidanand Saraswati, and spends most of her time in sewa and meditation. She writes comprehensively and informatively of her life in the ashram. These are blogs by people who have incorporated significant aspects of Hinduism into their spiritual life. These are listed on the page “Westerners Influenced by Hinduism“. You can see the recent activity of these blogs on the page Western Hindu Blogs. A summary of this information is also available in the sidebar in the section of this blog under Posts by Western Hindus. I hope that this page will be useful to any westerners called to Hinduism. If you are a westerner following Sanatana Dharma and have a blog, please let me know via a comment or the contact page. I will include any suitable blogs on this page. Images on this page are from wikimedia, and are permitted for non-commercial reuse. The “inactive” logo was created by me using the Gimp image editor, and can be used under the license terms of this blog. I think this is brilliant, you not only help start this blogging “movement”, but also support it both in entries and a dedicated page. I hope this list grows as more and more as westerners become aware of Sanatana Dharma and want to share their experiences, both good and bad, for the benefit of others behind them. Thanks. This is a real good website. I like the concept of having a separate tab “Westerners Following Hinduism.” I think it will not only encourage us to follow Hinduism more sincerely, but we can also be proud of our beliefs. Hopefully it will help new converts with their struggles. Hi, this is a very wonderful site, its is very informative, just to let you know I own some of your books, I have had them for over 10 years they are great reading. Anyways I have a blog site to at http://www.blog.rudrakshacollection.com hope you will visit me soon. Also I have a website at http://www.rudrakshacollection.com hope you will visit this as well. Thank you have a good day. Thank you for creating a great resource page. I like what you said about not choosing the path, the path chooses you. My own experience rings true with that. I’ve always felt most resonant with Hindu philosophy and have had a personal relationship with Ganesh for many years now. However, it’s only in this past year that I’ve spent time studying Hinduism in depth. The unfolding has it’s own pace. I’m almost done reading Loving Ganesha by the Himalayan Academy. Looks like I need to put How to Become Hindu next on my list. Looking forward to reading more of your blog, too. with its history and many more. It has been started as a journey by a Hindu woman based in USA, as her deeper exploration in Hinduism but ended up as a full fledged information kit for everybody. A couple of these haven’t updated since last year (though they may still be about, one can never tell). http://www.westsidedharma.com/ is a dead link. I have marked the blogs with no 2011 updates as inactive. If anyone notices new posts in them please let me know. I will try to update this every six moths or so. I’m still around, I’ll be updating soon. My moving to Seattle, plus looking for work, place etc. etc. has been taking up the majority of my time. Kodanda, your blog does something strange. When I’m looking at my blog feeds on Blogger, I see a couple of recent entries from you. But when I click on them, your blog tells me they can’t be found. Good to know you’re still about. I look forward to hearing from you once you’re settled. Good write-up Tanadava ji. So what is it that influenced you to Shaivism, would like to know. I am a Smartha where all 7 sects (Shanmathas) of Hinduism are equally respected by us and do not view any particular deity as supreme. Also whom do you revere as a Guru? 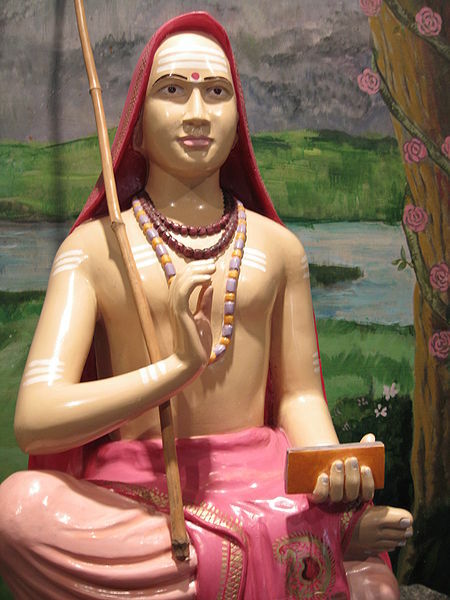 I am a follower of the tradition of Shri Adi Sankaracharya. I think that I answer most of these questions in the “How I became a Hindu” posts. I will write a little on the pre-Christian European traditions later, but I am busy with work at the moment. 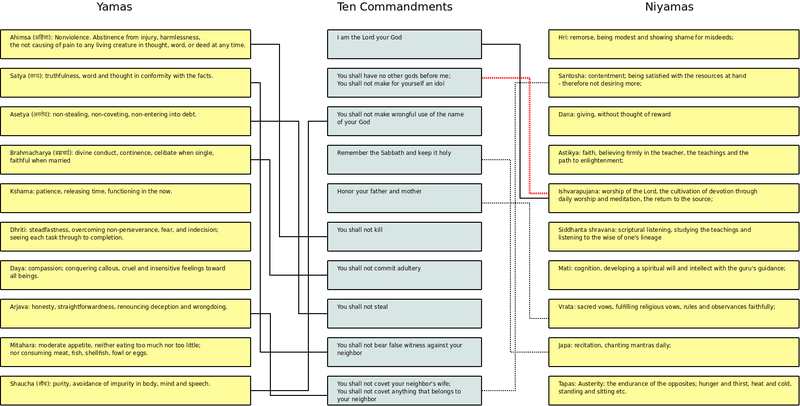 Your website is a very useful guide for those seeking the path of universal religion. The language you have used is very simple and easy to understand. Lots of people believe that non-Hindus do not embrace Hinduism. Your blog is a good example for them. Here is another Western Hindu . But let me say Advaita s the main phy. By Adi sankara . Smartism s just a part of that . Or just a bhakti marga proposed by sankara. He has written on Shaiva, Vaishnav and Shaktism,(collectively taken becomes Smarta). But real hindu spirituality s beyond these. Its Advaita , Viswadvaita and Dvaita. Vaishnavism was propounded by Madvacharya whose main phy. Was DVAITA, (whose clan/caste i belong to). But the Vaishnavism n West s mainly by Srila prabhupada. As i feel you are much interested in Sanatan dharma, i feel u should also move into its heart, ie philosophy of monotheism. From God with ‘RUPA ‘ to that without . From finite to infinite, that fills ,contains the whole universe. Tandava, this blog has really expanded since my last close visit. Awesome. Please have a look, thanks ! I’ve just had time for a quick look now (using google translate), but have not yet found whether it the blog is by a Western convert or a Desi living in Portugal. I’ll look further when I have time. Lol, you would have to create 33crore sectns for 33 gods. Thats why i told u to classify’em under 6 dharsanas. Ridiculously reverant , as a veda-yanja follower suits in Mimamsa category. It looks like a good resource for those who are pressured by Christians. My teacher is also a Western Hindu. His blog is rajanaka.blogspot.com. Hello Tandava, I’d like to share with you this small video website on Hinduism that I’ve created. http://www.hinduismworldwide.in/ Hope you like it. I’ll be adding a lot more content in the future. Regards. Thanks for telling a lot of hindu blogs……. Well documented and very interesting video. Raised Catholic, and considering herself spiritual for many years, Danielle decided to convert to Hinduism at age 16. considering herself spiritual for many years, Danielle decided to convert to Hinduism at age 16. The name Gauri Maheshwari was given to Danielle by one of the priests at the temple upon her decision to be a Hindu. At the time of this interview she is 18 years old. I have added it to my blogroll, but the page is explicitly for blogs by Western converts. Iam NOT a westerner and yes I agree. Tandava should confine the blog list ONLY for the westerner blog owners. This is the only exclusive blog, to my knowledge, that enlists all the western hindu blogs at one place and this list hopefully will bulge.For drake brake, my advice is to post his blog link in as many hindu forums as possible that are available aplenty on the web. Western hindus are a miniscule minority hindus who need a forum/voice of their own as they face some peculiar problems which born hindus don’t ever have to face. As an Indian origin American citizen I would like them to interact and draw inspiration from one another. Such forum’s functions may range from advocacy issues to support group benefits depending on which way one sees it. Definition can be bit of a challenge in the contemporary ‘melting pot’ scenario that we are witnessing in last 50 yrs or so. Western hindu is one whose parents or ancesters were not from any hindu ancestry, and whose ancestors lived in western lands and certainly never lived in Asia. Definition isn’t perfect but may serve the purpose. he “may” call himself a hindu, atleast he is devoted to his guru and his blog has good articles about “markandeya Gita”. You may like to add him here after asking him.